The post Let’s stick with pigeons for a moment. appeared first on Pigeon Patrol Canada – Bird Control Products & Services. The post Man Helps Thirsty Pigeon Enjoy Some Water From NYC Drinking Fountain appeared first on Pigeon Patrol Canada – Bird Control Products & Services. The post Bedazzled Pigeon Is Reunited With His Owner After Being Missing for Days appeared first on Pigeon Patrol Canada – Bird Control Products & Services. The post Family devastated after fire kills 70 pigeons and destroys Cardiff loft appeared first on Pigeon Patrol Canada – Bird Control Products & Services. The post Indomitable Parkdale Pigeon Continues to Stick It to The Man (With Pile of Sticks) appeared first on Pigeon Patrol Canada – Bird Control Products & Services. The post City bird-baiting ban moves forward appeared first on Pigeon Patrol Canada – Bird Control Products & Services. The post In a flap: pigeons use wings to sound the alarm appeared first on Pigeon Patrol Canada – Bird Control Products & Services. The post QUAIL, FOREST GROUSE, PTARMIGAN AND BAND-TAILED PIGEON GENERAL SEASONS TO OPEN SOON appeared first on Pigeon Patrol Canada – Bird Control Products & Services. 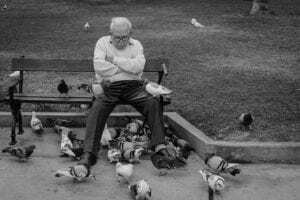 The post The joy of pigeon racing appeared first on Pigeon Patrol Canada – Bird Control Products & Services. The post Pigeon poo problem just keeps piling up appeared first on Pigeon Patrol Canada – Bird Control Products & Services. Nets could be the best option for gathering up pigeons in La Crosse. Parking utility coordinator Jim Flottmeyer likes the plan to pay the feds $23,000 to collect mass numbers of pigeons using nets fired over birds lured to a spot with poison feed. “Trying to use nets and get a big, large number of them at one time might be better than people running around with firearms, trying to shoot them,” Flottmeyer said. It’s unclear when the pigeon netting will occur or how successful it will be. Police have expressed an interest in keeping the issue quiet to limit the number turning out to watch the process. The post Parking boss defends netting as best process to rid downtown La Crosse of pigeons appeared first on Pigeon Patrol Canada – Bird Control Products & Services. The post Living in communion with nature appeared first on Pigeon Patrol Canada – Bird Control Products & Services. The post Who needs to be told this? Notorious public housing complex residents warned not to feed rats – days after a Sydney family was terrorised by a rodent the size of a cat appeared first on Pigeon Patrol Canada – Bird Control Products & Services. The post Our pigeon plague is making feathers fly appeared first on Pigeon Patrol Canada – Bird Control Products & Services. The post Birmingham woman spends £60 sending injured PIGEON to wildlife sanctuary by TAXI appeared first on Pigeon Patrol Canada – Bird Control Products & Services. The post Breakfast Photo appeared first on Pigeon Patrol Canada – Bird Control Products & Services. The post Hawk patrol puts Preston pigeons in their place appeared first on Pigeon Patrol Canada – Bird Control Products & Services. The post No Need For Pigeons Thanks To Sophisticated New Radio System In Whitfield County appeared first on Pigeon Patrol Canada – Bird Control Products & Services. The post Swart is Riverpark champion appeared first on Pigeon Patrol Canada – Bird Control Products & Services. The post Second Captains go swimming with sharks appeared first on Pigeon Patrol Canada – Bird Control Products & Services.